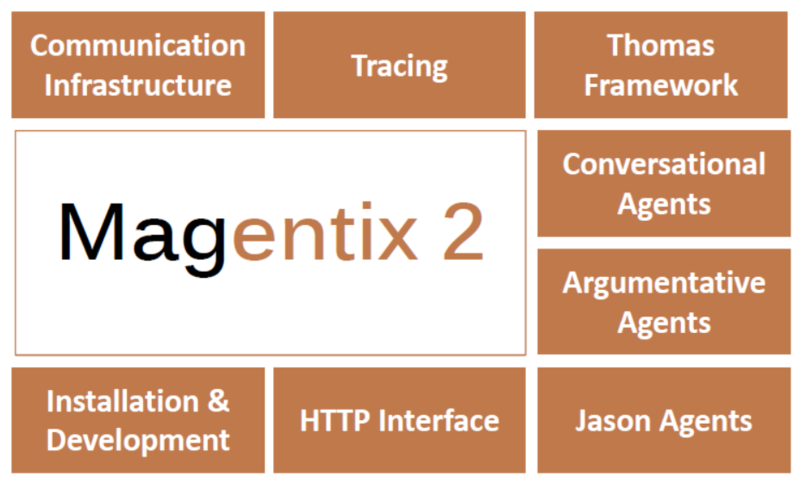 Magentix2 is an agent platform for open Multiagent Systems. Its main objective is to bring agent technology to real domains: business, industry, logistics, e-commerce, health-care, etc. Technological evolution in the areas of Computer Technology and Communications has raised new challenges and requirements for software systems. Computation is now often conceived as an inherently social activity. Multiagent systems technology has some characteristics that indicate its potential to support this new paradigm of computation. Dynamic organizations of agents, which are able to automatically adjust their own behavior in order to make the most of their environment at any given time, are becoming more and more important. Social factors in the organizations of multi-agent systems are also becoming more important in order to structure the interactions in dynamic and open worlds. Magentix2 project is proposed as a continuation of the Magentix project. The final goal is to extend the functionalities of Magentix, providing new services and tools that allow the optimized management of open multiagent systems. Thus, the Magentix2 main objective is to develop technologies to cope with the (high) dynamism of the system topology and with flexible interactions, which are both natural consequences of the distributed and autonomous nature of the components. In this sense, the platform has been extended in order to support flexible interaction protocols and conversations, and interactions among agent organizations. Among other functionalities, Magentix 2 incorporates a tracing service. This service allows agents to publish or to subscribe to some events which match with some determined attributes, receiving messages from the platform when the event occurs (when it is subscribed to it). Also, Magentix2 includes an argumentation API that allows agents to engage in argumentation dialogues to reach agreements about the best solution for a problem that must be solved. Finally, Magentix2 incorporates the THOMAS framework, allowing users to manage with organizational and service aspects easily. This project has been funded by Ministerio de Ciencia e Innovación of the Spanish Government.